A very nice Hasidic gentleman who works at one of the delis I take my tours to, told us a story today. He offered the story to me and some of my tourists just as we were wrapping up and heading out, ahead of this pouring rain. “I have a story for you. You can use it on your tours.” he said. He likes to tell me what to say on my tours. He isn’t the only one. Hasidim with whom I interact on my tours regularly scold me for not saying this or that. 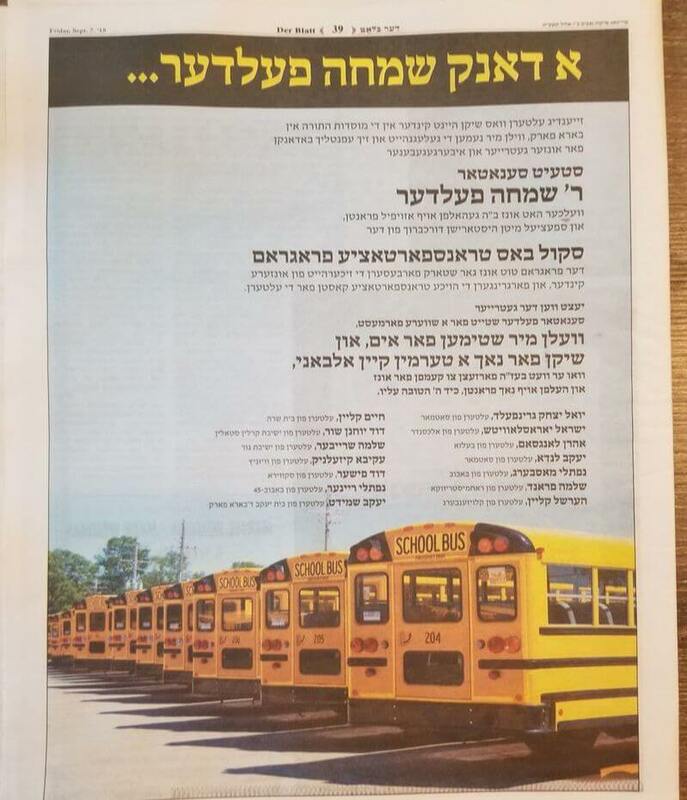 “speak to the charity, speak to the ambulate, the help for the sick, the organizations like Shomrim and Chaveyrim, etc.” It cracks me up; I laugh and say ‘yeah, yeah’ and don’t take it too personally that nothing I will say will ever placate these harsh critics. Unless I tell the story I was told today, which I will. The Hasid said of course it was! Who wouldn’t want a bit of buttering the marriage. The Hasid said he owned, gave his address, bid farewell, and off he went. A week later the Hasid got a call from the bank. “Mr. So-and-so; we want to notify you that your mortgage has been paid in full.” Yes, kids. The recipient of the act of kindness had sent a check to pay off the entire mortgage. And who was this stranger? None other than Donald Trump! Some tourists and I gasped. It was an unexpected twist. Trump? And then Mr. G told us some more stories of Trump’s acts of kindness. The stories so emphasized Trump’s miracle making for ordinary people, I had to stop myself from pointing out the resemblance between the Trump stories and the apocryphal miracle stories of Hasidic Zadikkim. In fact, the Trump elevation to Zadik is almost not totally absurd. On Yiddish language forums Hasidic men regularly describe themselves as Hasidim of Trump. They use the term Hasid colloquially as “fans of”, but the similarities to veneration of secular and religious leader is not as different as you’d think. addressed the story in 2016 with the version in which the Good Samaritan in a Jew, and said it is fake. This story has apparently been attributed to so many celebrities, it is listed in Jan Brunvand’s Encyclopedia of Urban Legend’s, under “Celebrity Car Breakdown“. I find it fascinating that this follows the same pattern of how miracle stories of Hasidic Zadikim spread. One store gets attributed to many different persons of note, almost as if it didn’t matter who it happened with, but rather, that it could have happened with the person it is attributed to. 03 Aug From Quora: Do Orthodox Jews support Trump? Many Hasidim did. In Williamsburg, he got a large part of the vote. I was there the morning after Trump won. People were glad. They said “it’ll be good now, it’ll be good”. Their very skewed/limited exposure to news and Trump. The Hasidic papers are heavily censored and won’t cover details like that of the Access Hollywood tapes. The Yiddish news is often more fox-news-ish than it is complex, if only because you need a certain understanding of the humanity of people unlike you in order to have a complex conversation about issues. Instead, the Hasidic newspapers rarely include pictures of people in the news, so the news becomes distant, not-human, fascinating in a way that doesn’t trigger your empathy. So with such stories — well, I once was crazy about George W Bush and I have no idea why. So I can see why an empathy-lacking news medium will make people gravitate to the more flashy charachter. I just found this in my journal. I wrote it after Trump won the presidency, when I was trying to make sense of why so many of the Williamsburg Hasidim I ran into supported him. Ways in which Trumpism reminds me of some (many) Satmar Hasidism. Extreme veneration of the monied, while in theory venerating lofty spiritual ideals. Extremely limited and self-centered understanding of the world. Truly hard working well meaning people who are impossible to hate but incredibly frustratingly ignorant. A kind of excitement around the political views that can only be borne out of naivete. You can’t be excited about the fabulous Wall and the repealed Obamacare if you are into the nitty gritty. Embedded mechanisms for discrediting critics and never even listening to them. Good at forcing the world to listen to them but not listening to others. Have no idea when they vote against their interest. What I also found is that Hasidim are not totally absurd for supporting Trump. He tends to give goodies to his supporters, and Hasidim have gotten goodies. For instance the sentence commuting of the ultra-Orthodox Rabbi Rubashkin. Hasidim deliver votes and want special favors in return. Trump wants votes and likes to pick favorites. There is room for agreement here. Maybe it wasn’t totally against the Hasidim’s interests. At least not in the short term. In the long term, if the deficit leads to a serious reduction in government programs that Hasidim benefit from, it wouldn’t be a very happy tragectory.